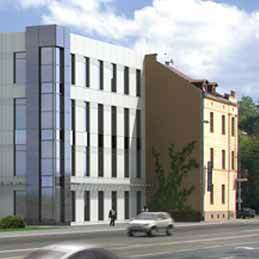 The office building located in Wielicka Street 22A in Krakow is the next investment of ARGE NIERUCHOMOSCI Sp. z o.o. following the completion of the chain of petrol stations and accompanying buildings /car washes, restaurants, hotels/ across Malopolska. 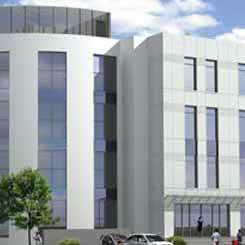 The company has expanded its activity in the area of commercial buildings for both office and retail use. Our main goal pursued in the design phase was to create the retail/office building well suited in the surrounding area, the building that would combine both elegance and comfort together with functionality. 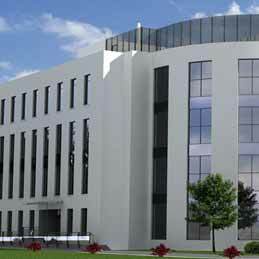 We designed at your disposal over 4000 square meters of office/retail space ensuring the flexibility and freedom of planning and arranging of the interior. 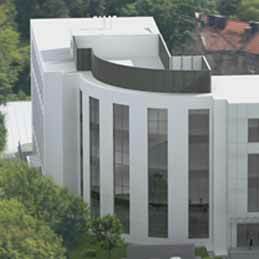 The General Contractor was Eiffage Budownictwo Mitex S.A.